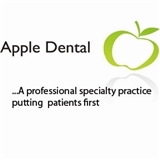 Apple Dental Group (Mountain View) - Book Appointment Online! We would like to take this opportunity to introduce ourselves to you and your family. We are family dentists and specialists, conveniently located on Grant and El Camino in Mountain View, CA. If you are like most dental patients, your anxiety over visiting the dentist’s office is only compounded by the additional concern of being treated by an unfamiliar dentist. And what about the dentist’s staff? Will they take the necessary time to help you feel at ease? In our office, we make sure you are comfortable before we begin even the simplest procedure. With a stellar general dentist and 4 in-house dental specialists, Apple Dental Group offers comprehensive care for all your dental needs. We have an orthodontist, an oral surgeon, a periodontist and an endodontist right in our office. Overall I had a good visit. I got a routine cleaning, along with some photographs of my mouth. Dr. Khaleel was professional, and after my examination the team followed up with a good explanation of my treatment plan and cost breakdown. The service of the secretarial staff could be improved. Upon checkin I didn't receive my paperwork to fill out and sign until the doctor was ready to see me. Also, I was already in my doctor consultation before they realized I hadn't even received a medical history form.